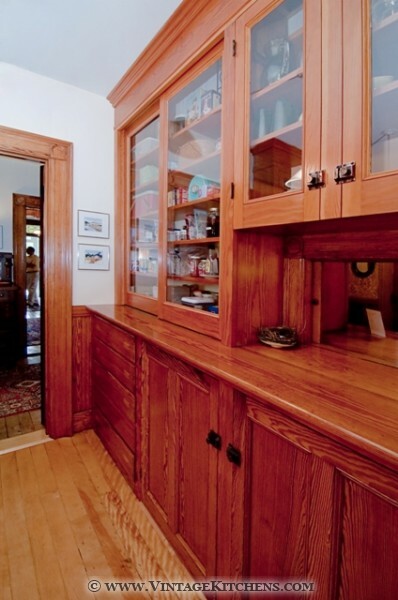 We found some fragments of the original butler's pantry cupboards in the basement, and the new cabinets reflect those details. 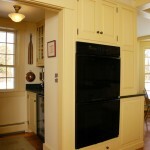 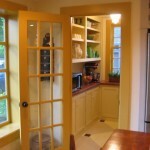 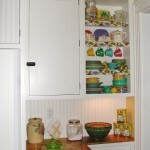 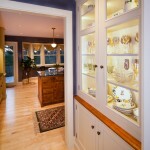 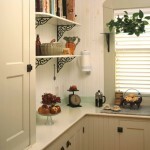 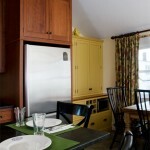 The adjacent pantry is Young Furniture cabinetry, painted on site. 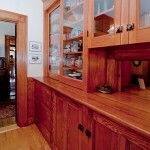 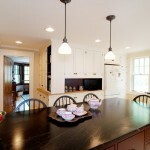 We designed the new Signature cabinetry and molding details to reflect the existing pantry style, and the material for this wood top was also from the owner's salvage stock. 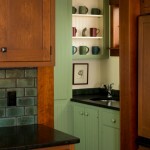 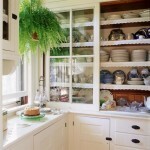 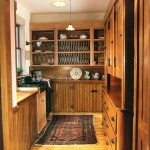 The adjacent butler's pantry was also made in our own shop and features restoration glass with antique wavy texture.